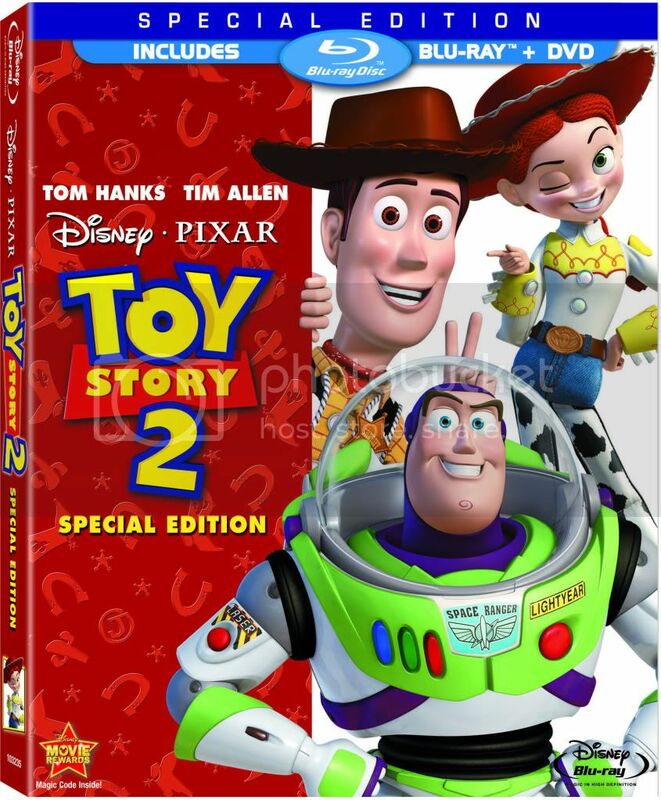 Toy Story 2 comes to Blu-ray with a 1080p AVC/MPEG-4 video presentation. Toy Story 2 comes a few years later after Toy Story with a much bigger budget and a far more impressive level of technology available. While I do feel Toy Story received a perfect transfer, Toy Story 2 does improve upon the technical limitations which Toy Story had. 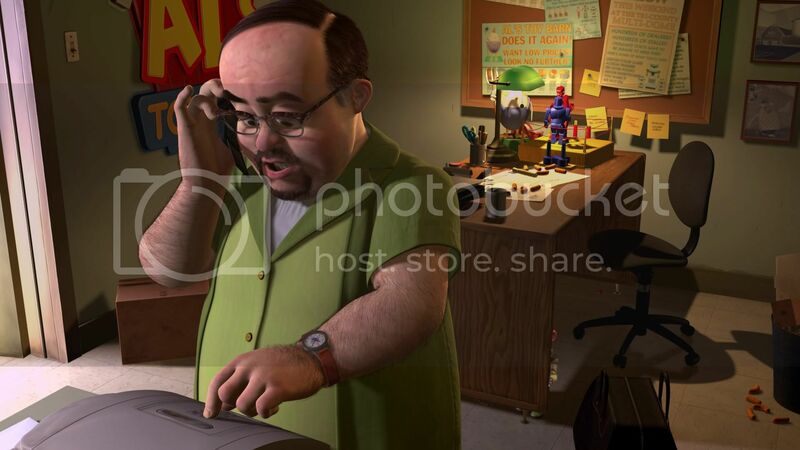 Textures were strong on Toy Story, but only that which was of main focus in the scene. 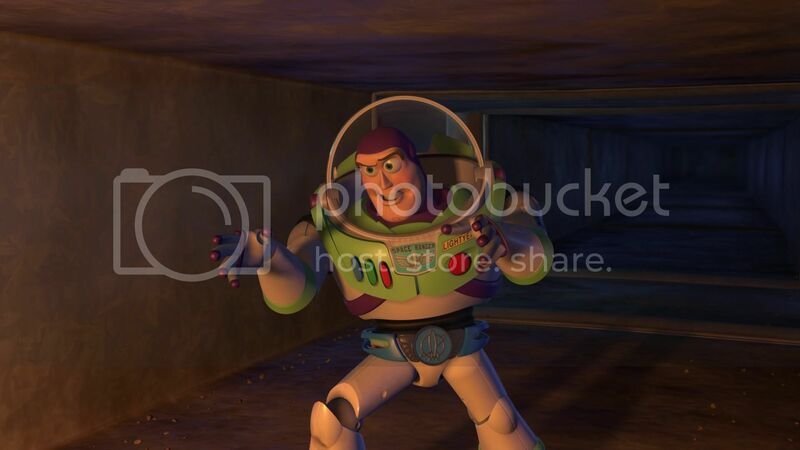 Toy Story 2 features fantastic textures and everything looks so crystal clear on Blu-ray. Like Toy Story, Toy Story 2 features a very vibrant amount of colors on-screen which will literally have you in a trance at times. The colors are beautiful and leap off the screen; blacks are also very inky. The natural three-dimensional pop that comes with Toy Story 2 is also very impressive and I can understand why Disney went back and rereleased it theatrically in 3D. The movie has never looked better and those thinking of sticking with your previous DVD versions will be missing out on some of the best high-def material to hit Blu-ray yet. Toy Story 2 on Blu-ray is without a flaw and will leave viewers of all ages dazzled by its high-def result. 10/10. An English 5.1 DTS-HD Extended Surround Master Audio track is included as the lossless option. Other audio options include French 5.1 Dolby Digital EX, Spanish 5.1 Dolby Digital EX, English 2.0 DTS-HD Master Audio and an English 2.0 Descriptive audio track. Optional subtitles include English, French and Spanish. I of course went with the English 5.1 DTS-HD Extended Surround Master Audio mix. The level of clarity from the audio is amazing, everything sounds as if it were newly produced and recorded. There really are no limitations in this mix as it fills your home theater. Dialogue of course is front and center and is always crisp and clear, which is expected since it was recorded in a studio. The film’s music also features a nice soothing clarity when present and definitely adds to the lossless experience. The sound effects are also quite amazing, particularly during more intense scenes or the battle with Zurg. Sound effects travel throughout the surround speakers nicely and definitely help create a very immersive experience. Toy Story 2 may be over ten years old now, but not once will you question its age as everything sounds like-new. Disney/Pixar has always impressed with visual and audio presentations on Blu-ray and Toy Story 2 is no different. 10/10. 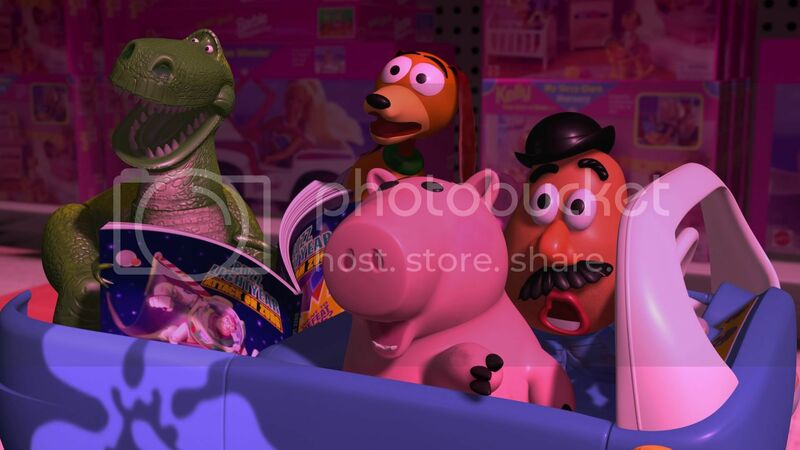 A quick sneak peek of Toy Story 3 is included on both Toy Story and Toy Story 2. 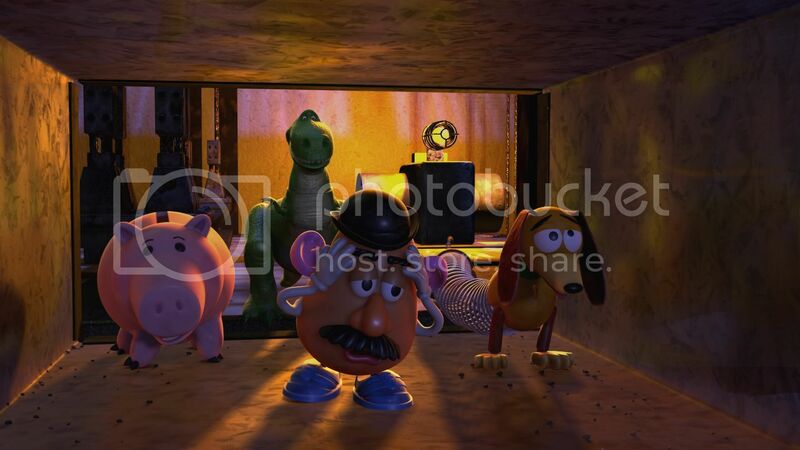 This sneak peek talks about the characters, while Toy Story’s sneak peek talks about the story. View the film with commentary by Director John Lasseter, Co-Directors Lee Unkrich and Ash Brannon and Co-Writer Andrew Stanton. Episode 2 of the Mission Logs, episode 1 can be found on Toy Story. Technical artists talk about when they started working at Pixar as well as their inspiration in doing this as a career. The Editorial Manager Lindsey Collins talks about their 36-40 hour shifts and the lack of sleep everyone received while working on Toy Story 2. This story is actually a bit creepy at one point, but very funny. A story about the original animation department in which they threw toys at the ceiling, it particularly focuses on their Pinocchio toy. Pixar employees talk about command ‘RM*’ which deletes everything as quickly as it can. Someone had run ‘RM*’ on the drive where Toy Story 2 was kept and everything disappeared. They realize their backups were also bad. Things were recovered as Galyn Susman had a copy of the film on her computer at home due to her newborn baby and her wanting to work from home. Pixar employees talk about using a zoetrope, which Studio Ghibli used. This is very neat and worth checking out. This is a tribute to Joe Ranft who passed away during the production of Cars. We see him many times throughout the classic DVD bonus features included. John Lasseter and crew talk about working on the sequel and the importance of creating the same world again. We go behind-the-scenes of voice recording and more. Everyone talks about working with John Lasseter, comparing him to Walt Disney. This is a feature all about the voices behind the characters, truly making their characters. This is a collection of animated outtakes which can be quite funny. This was a previous easter egg feature which was hidden and you would have to find throughout the menus. This is now a regular feature and features a hilarious driving away joke when Jessie’s owner leaves her. This is a debate between the cast and crew on who the coolest toy is. Riders in the Sky perform a medley of songs about Woody’s Roundup. These are autographed pictures of the many characters in the film. Three deleted scenes are included and are presented in standard-definition. Toy Story 2 features a very immersive sound experience like the first, the sound designers talk about creating the effects for Toy Story 2. John Lasseter talks about the three songs in the film, two new ones and one reworked. Download the latest trailers from Walt Disney Home Entertainment in both HD and SD viewing options. The DVD Copy of the film includes many of the new features included on the Blu-ray release, but is no comparison as far as the actual film quality goes. This is a nice inclusion for families who only have one Blu-ray player in their home or have kids who want to take this on the road. The extras on this release are great, the classic DVD bonus features are also still very strong despite slightly dated, most of them are great to revisit. There is plenty of new and classic bonus features included, but there are a couple of things missing from the Toy Box release of Toy Story 1 and 2. Those looking to ditch their DVD releases will want to hold on to them still if you want to have all the bonus features available. That being said, I’m not sure if we will ever see everything together again. At times I think certain things are held back from each release to make them somewhat special. Overall though this is a great amount of bonus features, which I only dock due to features missing. 9/10. Toy Story 2 is quite special in many ways. We all have had our share of sequels and to be honest most do disappoint. Reasons disappointment include only part of the original cast returning if at all, new writers and directors and sometimes just feels like a quick cash-in. While it’s obvious Toy Story 2 was released due to the success of the first, the movie never feels like a cash-in. 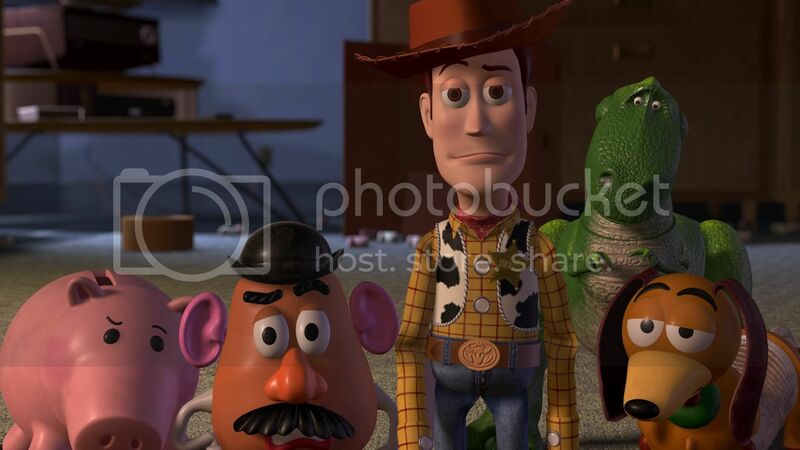 Toy Story 2 manages to keep the same great storytelling and characters from the original, while adding all new characters. The movie does continue from the first quite well and is also just as funny. Woody and Buzz Lightyear are back and this time, clearly working out their issues they had with each other in the first movie. In the sequel Woody is toynapped by toy collector Al. We soon learn that Woody is a doll based on a TV show called ‘Woody’s Roundup’ and that there are other dolls made from the show as well. 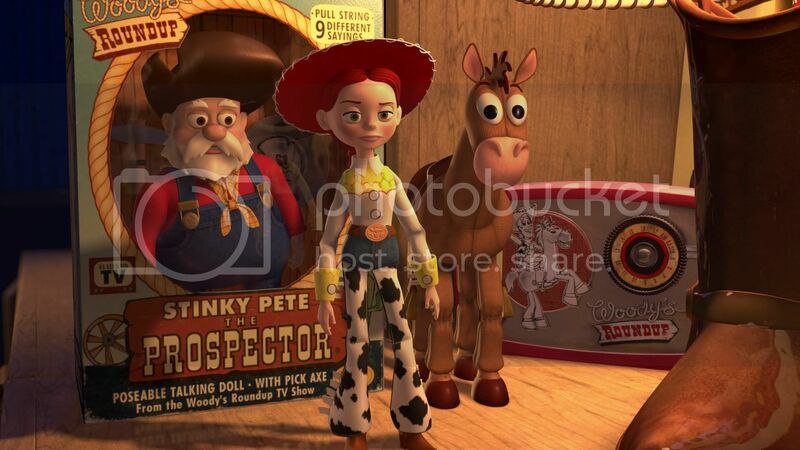 We meet new character Jessie who is quite the cowgirl, although she is hard to embrace. We soon learn her background story and why she can be so cold towards others with a touching and beautifully done music flashback. While Woody connects with his new friends, he soon learns they are being sold by Al. 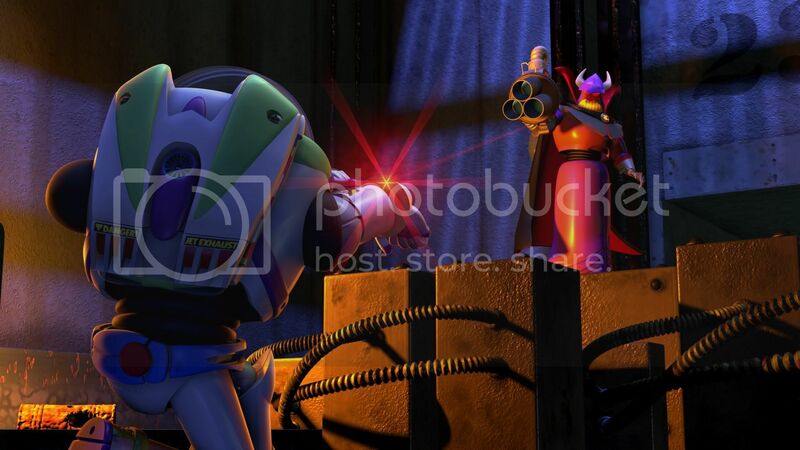 It is then up to Buzz Lightyear and the whole crew of Andy’s toys to come and save Woody and his new friends. The movie is something that both kids and adults will enjoy and I find it to be just as great as the first movie in every aspect. 10/10. Toy Story 2 is that rare sequel which is just as good as the first; this time on Blu-ray it features a perfect video and audio presentation. Extras are also very strong. Toy Story 2 on Blu-ray is ‘A Must Own’ high-def release. Purchase both Toy Story and Toy Story 2 on Blu-ray and get an additional $10 off Amazon.com’s every day low price. 39.99 for both!